This month, we’re taking our Country Two-Steppers on a field trip! Join us as we head on down to the big city and kick up our heels at The Grizzly Rose Saloon & Concert Hall. Voted one of the best honky tonks in the world, the Grizzly Rose features a 2,500 square foot dance floor that’s perfect for two-stepping. Jeffery Allan Band will be playing some great live music, so plan to join us on this fun field trip. We’ll meet in the Wee Creekers’ parking lot at 6:30 to carpool down to Denver. 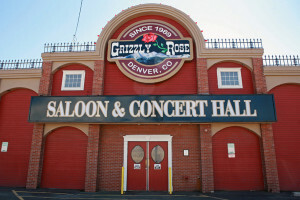 Or, if you’d rather meet us there, we plan to arrive at the Grizzly Rose at 7:15. We’ll dance until 10 pm (or so) and then head back on up the Canyon. For more information, contact Linda at linda@cccparkandrec.org.